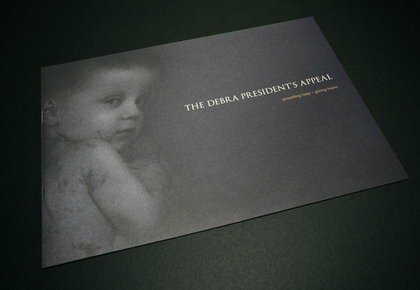 A high quality brochure was created for DebRA to encourage donations from the world's wealthiest individuals. 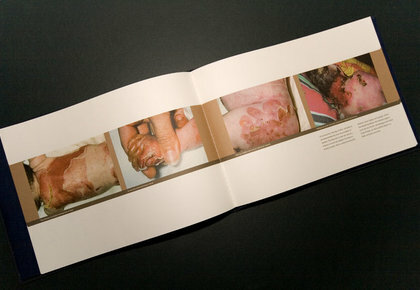 The book was divided into two inserts - one for the appeal and one to show the reality of the skin condition EB. The cover featured a deboss into a plush velour material. 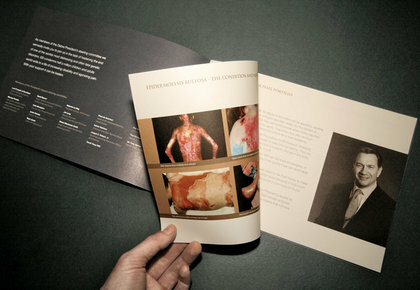 A superfine flypage was placed over a caption "Imagine skin so fragile..."
The second of the two books showed the condition in graphic detail, while the first conveys a more gentle approach. A subsequent condensed version was produced for more broad ranging uses. Each copy of the main brochure was signed by Michael Portillo. The DebRA President's Appeal was an initiative to target the world's wealthiest individuals, as potential donors to the worthy cause of fighting Epidermolysis Bullosa. As the President of DebRA, Michael Portillo personally signed each brochure, and recipients included Bill Clinton and Bill Gates. 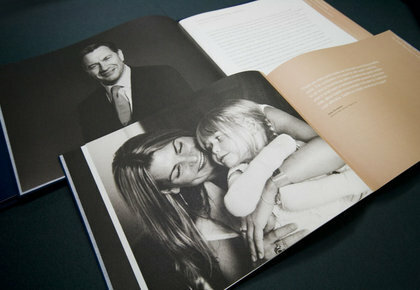 The document consists of two individual booklets, with hand stitched spines, held within an outer hard cover. 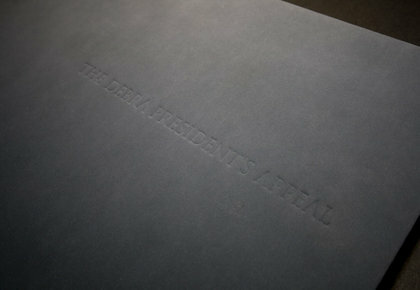 This outer cover was bound in a muted blue sued-like material with debossed type. 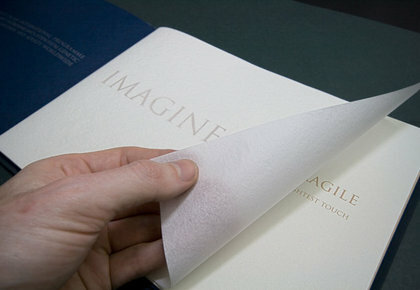 A sheet of superfine translucent textured paper overlays the first page, to emphasize the message beneath: 'Imagine skin so fragile, it blisters at the slightest touch'. The main document contained two booklets. The first reveals the true nature of the condition in graphic detail. 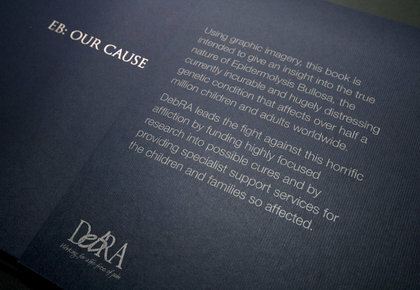 The second contains the appeal information, alongside muted black and white images of the sufferers. The thought behind the two book approach was to ensure the appeal book could be read easily, without continually confronting the reader with the graphic realities of the condition on every page, as the imagery can be very painful to view.